In economics and philosophy, there’s a term called the “tragedy of the commons” that I have long maintained applies to the new world of cheap e-books. Layman’s version of the idea of tragedy of the commons: When there is a shared resource that everyone has access to, it’s in everyone’s rational self-interest to deplete that resource even when no one will benefit when it’s gone. Layman’s layman’s version. 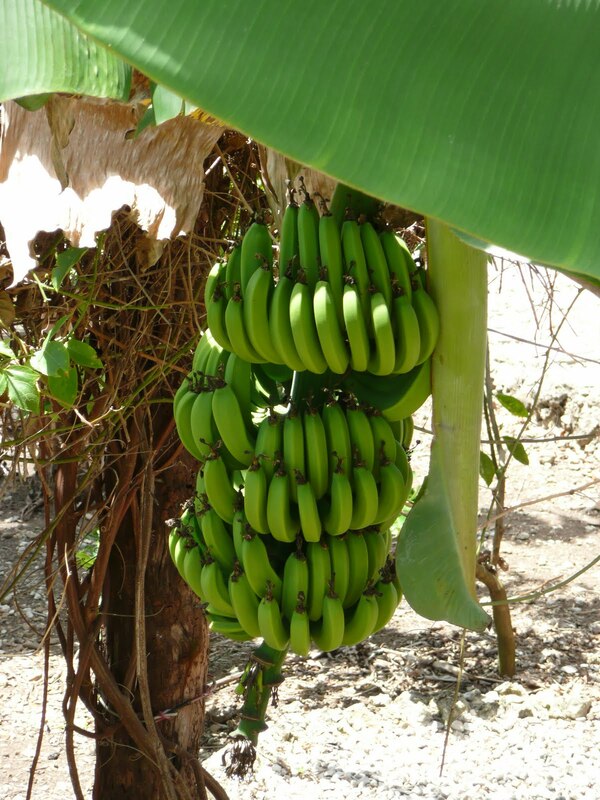 A group of monkeys live near a banana tree. If they just let some of the bananas survive there would be more bananas for everyone. But to an individual hungry monkey, he just wants to eat a banana while he can. By the time everyone has finished acting in their individual interest all the bananas are gone. I think a case could be made that this is happening in the world of cheap e-books. Only it’s not physical or virtual copies that are being depleted. The prominent (mainly self-published) authors who have moved aggressively to discount their e-books have derived a significant benefit from getting there first. In effect, what they’re partly benefiting from is contrast — e-books by traditional publishers cost anywhere from $9.99 and up. Self-published authors like J.A. Konrath, John Locke, and Amanda Hocking have experimented with $2.99 all the way down to $0.99 and even free. Buy a book by a traditionally published known author for $10+ or take a chance on an unknown for $1? A lot of people are choosing the latter, better yet still when the author isn’t even an unknown. As documented previously, these authors are able to undercut on pricing in part because they’re more efficient than publishers. Konrath, Locke, Hocking and others don’t have armies of employees they’re paying and a publishing ecosystem to support. They write their books, do a lot of the legwork themselves, and contract out what they can’t handle on their own. They can afford to undercut the competition. Here’s where I think the tragedy of the commons kicks in. Thought experiment. Let’s say that everyone sold their books at $0.99. Stephenie Meyer, J.K. Rowling, James Patterson, J.A. Konrath, Amanda Hocking… everyone. What would that publishing world look like? Well, for one, more books would probably be sold overall. But not an exponentially greater number. There’s an important constraint that limits the number of books that can be sold: readers’ attention. At the end of the day, there are only so many people in the world who read books and only so much time in the day they spend reading them and so much money they’re willing to spend for them. People do buy a few more books than they end up reading, but not that many more. So basically in this hypothetical you end up with a situation where no one makes much money per copy sold and a good bulk of the readership that would probably have paid more if they had been required to. Unknown authors would no longer derive a benefit from the discounting. If you think of discounts as resources, those discounts could end up depleted when the early movers drive down prices, and no one is able to derive benefit from them anymore. And when book prices are $0.99, there would be still more pressure to give books away for free to try and build an audience. It’s not that hard to envision a price race all the way down to free for debut authors. The bananas, in effect, would be gone. Still, despite the “tragedy” in the title of this post, I didn’t make up that term and I’m not so certain this is truly a tragedy. As I have written in a previous post, human progress is a steady march toward greater efficiency. Economics is all about finding ways to improve productivity and find efficiencies in order to undercut the competition. When resources are freed up and we’re no longer fetching our own water and growing our own food and killing our own animals and sewing our own clothing, it frees us up to do things like invent spaceships and post updates on Facebook. It used to take a monk years to transcribe a single copy of a book. Years! One single copy! Think about what that person’s time would cost today in America. We’re talking several hundred thousand dollars of labor for one copy of one book. Now someone can create a copy of a book with a couple of clicks, and that book can be downloaded by millions of people for $0.99 or less. Efficiency allows us all to do more. It’s the foundation of the modern life. Lower prices allow people to spend more money on other things and that’s what makes the economic world go ’round. And the last concept I’d leave you with is price discovery. As a recent episode of the podcast Planet Money illustrated, one of the new innovations of the recession is the Groupon, which is really a new version of the coupon, which itself was created for purposes of price discovery. Price discovery works like this: everyone has a price they would pay for something they want. It benefits the seller to charge as much as the buyer is willing to pay, and it benefits the buyer to pay as little as the seller is willing to charge. In the old days, or in other cultures, people used to haggle and negotiate over everything in order to find that optimal price. That’s price discovery. In the modern American world we replaced haggling with retail prices in the name of efficiency, but what is lost there is the ability to try to charge someone what they’d actually be willing to pay. For instance, I would probably be willing to pay $100 for J.K. Rowling’s next book sight unseen, but the publisher probably won’t find a way to charge me that. Instead I’ll pay the retail price, something between $20-30, and all that money that I was willing to pay will stay with me. That’s potential lost profit for the publisher. But as the Planet Money episode discussed, Groupon is the harbinger of a new interest in price discovery. Very smart people are hard at work at this very moment trying to figure out how to get you to pay what you’re actually willing to pay. And this is where I think the tragedy of the commons will be circumvented. Yes, I do think that for new authors there will be tremendous pressure to give their work away or charge very little for it, just as there is pressure on journalists to work for very little or for free until they’ve built their career. But I also think new technology is going to step up to the plate of profit maximization. Once an author has a commodity in high demand, there will be people willing to pay for it and new methods of price discovery to charge accordingly. Who knows, by the time J.K. Rowling finishes her next book they may well have figured out how to get me to pay $100. Um. And hopefully not because I told the Internet. What do you think? Are we headed to free for e-book prices or will we find a way to charge as much as people are willing to pay? Interesting observation. From a retailer's point of view, if you have the cheapest product, and people know it, they'll come to you. I have to say that your usual book econ posts don't scare me. This one did. I think the main problem with your argument, though, is that there's no actual "depletion." People can't download ebooks until the supply is exhausted. Readers' attention may be finite, but to-be-read piles rarely are. Lots of people buy books and pile them with the intention of getting to them eventually. I think that there's a sweet spot around the five dollar point. But I think it's not the only way to make money. In a situation where there's no such thing as depletion, the idea of scarcity actually becomes valuable. So if you're selling something infinite, in other words, figure out a way to make it scarce. I'd have to say the real tragedy is that people's wallets will dictate what kind of literature they read. Without the sorting, critiquing and reviewing that goes on with traditional publishing, the quality of the literature will decline. In this case it's the discount that's the resource, not the actual copies of the book. A discount is "depleted" if everyone is only charging $0.99 in the hypothetical scenario. One critical difference in the tragedy of the commons lies in the consumption of a limited resource. In merry old England, the commons was the green field where farms collectively grazed their animals. Just like the bananas, eat too much, and ruin the commons. What is the precious limited resource in the e-publishing world? I'm missing the point. My usual thought on this is similar to buy expensive designer clothes versus cheap stuff at Target. There's always a market for both, and the more highly regarded your brand, the more you can charge. Nope. Water is leaking in this argument. Discount is not precious. Price is where desire meets action. Discount is an artificial construct. Ask any old tech sales rep, there's a list price and a street price. What you are seeing in the e-pub world is the street price for "unknown" product. Such a great observation. It's also a good example of the more frustrating aspects of game theory. The best scenario for everyone is no one discounting, and the worst scenario for everyone is everyone discounting. But since individual self-pubbed authors will be best off if they discount when no one else does, and worst off if someone else discounts when they don't, authors will always discount, despite the opposite conditions being best for the group overall. It's pretty depressing–not looking forward to seeing where all this is going to end up. I think it will balance back out. Books will be overall cheaper, like albums are now on itunes, but the volume increase you spoke of, while not exponential, can potentially even things out. I agree that self publishers will still need to undercut the competition. Well, there's something I don't have in common with you. I wouldn't pay 100 dollars for a Rowling book. I don't think I'd pay that much for any book. Oh, wait a minute. I did pay 150 dollars for a comic book once. I think once the market is flooded with discounted ebooks people will have to rely on quality (as they see it) and if an author picks up X amount of readers with his 99c debut, he can then charge 9.99 for the second in the series and many may have got hooked. 99c just gets you access, after that you have to earn your living (or carry on as a hobby). It wouldn't surprise me if one of the big e-book retailers tries the Netflix model. Rather than a consumer paying per-unit, they pay a flat monthly subscription to access a limited or unlimited number of books per month. You don't 'own' the book, but as long as you're paying the monthly rate you can access it as many times as you want. On the flip side, the retailer could either pay the author a flat rate to carry the material, or pay them a royalty based on how many unique users download the book in a given timeframe. I've been downloading a lot of free ebooks. Publisher giveaways, author giveaways. I follow a blog that lists them multiple times a day. I could read nothing but free ebooks if I wanted. So yes, I think your idea of the tragedy of the commons is spot on. At this point, the only reason to pay for a book is because you want that specific book–if you're trying a new genre or a new author or just browsing, there's plenty out there for free or ultra-cheap. I haven't investigated Groupon, though, so I haven't thought at all about that sort of model. As an aspiring novelist I would really like novels to continue to sell for actual money. Fascinating article, Nathan. Thank you for a well-balanced approach! My take – I think there is a great deal of uncertainty about the future. For one thing, there is the question about whether Amazon, et al, will continue to allow authors to set their own prices. That may change. I hope it doesn't, but it may. If things continue the way they are, I think your second option – tier pricing – will occur. People will pay more for an author they want to read – the value goes up if the desirabilty of the product goes up. If J.K. Rowling wrote another book, I'd take out a second job to pay for it. There are two points in your argument that I want to discuss further. The first is the idea that the demand for books is finite. Although that's undoubtedly true, it's also true that books are disposable items. Once someone reads one book, they are ready for the next. Also, the ease of access afforded by e-readers allows books to be instantly attainable. This is a very different world than before, where books were hard to get and the demand for books may be much greater than people imagine. The second point is this persistent myth that a 99 cent price point will sell books. Sorry, but people will not spend money for something they don't want. They won't even take something for free if they don't want it. For example, if you go out to the parking lot and pick up a stick that is covered in mud, I'm not taking it, even if it's free. 99 cents may sell a few books, because some people are willing to pay 99 cents to see if the book is any good. But it's not going to sell alot of books. Just a few. There is one thing, and one thing only that will sell oddles of books. People seem to think there is a short cut, but I'm sorry, there isn't. The only way to sell oodles of books is to write a book that oodles of people want to read. And then they'll probably pay more than 99 cents for it. I'm still not convinced the 2.99 / .99 "revolution" isn't history repeating itself. The first step to monopoly is destroying a competitive market, and historically, the way that's been done is by undercutting prices to such an extent that no one can compete. (Railway and oil "barons" were made this way). However, once the competition actually buckles, then the "cheap" price usually disappears because the last one standing is still going to be able to set their own price. That doesn't necessarily mean that the price of an ebook would rise above .99, but there's no reason Amazon has to continue to pay out the same percentage in royalties they are at present. The public – who couldn't care less, so long as they get what they want – would be relatively happy, but the writers are up the creek. Great discussion, and I'll add something I learned on my first day of class in Contracts in law school: a fair price is what a willing buyer will pay a willing seller. Simple as that. Regardless of the moral or philosophic or literary arguments, that will win the day. You make great points at the end: free or .99 cents will be the proving ground, and then there will be much more leeway with price once an author is established. As a reader and an indie author, I have no problem with that. I love scouring for great new voices (and it takes me about a paragraph to figure out if the new voice is great) both in the bookstore and online, but I'm simply more willing to try a new author at.99 or 2.99 unless I think it is out of this world amazing. And as an indie author in an extremely difficult and competitive market (as always), I have confidence in my work, and want as many people as possible to find me. I don't like the .99 price point, but that is what the market dictates, then the other questions are a bit irrelevant. I think publishers, to survive, should think the same: if this ebook thing is happening (regardless of what anyone thinks about it), then they need to figure out how to stay relevant and profitable. Maybe charging 100 for the next book by the Rowling's and the Grisham's isn't a bad idea. To the extent books become more like bananas – look the same, read the same – price can be a deciding factor. Do I want this 9.99 zombie apocalypse book or this .99 zombie apocalypse book? But when the choice is this new 14.99 JK Rowling book or this new .99 LK Rigel book, until most people know who Rigel is, they're going to pick the Rowling. My challenge isn't to find readers looking for a cheap read. My challenge is to get the attention of readers looking for a good read . 99 cents is a strategy. I use it, but it won't work long-term unless your book makes it into algorithm heaven or you have several books and the 99-center is an introduction to all the rest. I have an e reader. I love it but find myself filling it with free or cheap books. With a traditional book you can read it, pass it to friends, sell it at a used book store, sell it at a garage sale, or donate it. With an ebook the reader can't do all these things. I think publishers need to do more with price discovery. If people are flocking to 99 cent ebooks it is because paying more for an ebook than a traditional book doesn't make sense to the consumer. A note to Mira– only self-published authors set their own prices for ebooks. For traditionally published books, the publisher sets it. I know authors who wish the publisher would make the ebook cheaper. If you're not familiar with it Nathan, you might want to check out eReader IQ, a site that exists partly to allow readers to track Kindle books & find out when the price drops. I think ebook readers are definitely price-sensitive, but I think it's worth noting that bestsellers continue to be best sellers in ebook form, even when the price is $12.99 to $14.99. What has happened is that books that would not otherwise be best sellers get on the list by being priced at 99 cents. Probably they bump some higher priced books to get there, but they don't take over the list entirely. I consider it's too early to say the 99 cent phenomenon will have a profound impact; for one thing there are huge numbers of 99 cent books that go nowhere. I agree with JL Bryan. This is a good deal like shopping for anything else. If you aren't sure about the quality of a product, you tend to buy the cheaper version — to see if you like it. If you want quality, you buy a more trusted brand name, which will be more expensive. This is not to say, of course, that you may not be pleasantly surprised with the quality of the inexpensive product. But a newbie cannot sell as much for as high a price as an established brand, whether that is clothing, electronics, or a book. My guess is that Amanda Hocking's book prices will go way up soon. And that's okay. She started small with the unknowns, and now she's off to the big time. Hmmm…. maybe I'd better go try one of her books, eh? Oh, and I'd most certainly pay $100 for Rowling' next book. Anytime. To me this post reads as a list of well thought out reasons that $.99 e-books may not be good for writers in the long run (because it'll become increasingly hard for most writers to get paid a worthwhile amount), and then a supposition that maybe some magical market force which hasn't yet made itself felt yet will rescue some big-name authors from the wreckage. Honestly, just because a book is 99 cents does not make me more interested in buying it. I still read samples. I enjoyed Amanda's opening pages of the trylle trilogy which is why I purchased the first book. I would've paid more. 1) @erin said "sorting, critiquing and reviewing that goes on with traditional publishing, the quality of the literature will decline"
The "sorting, critiquing and reviewing" that traditional publishers do does not guarantee "quality" literature, what it guarantees is marketable literature. Publishers don't care if it's good, only that it sells. It's also a mistake to assume that the same (or higher) level of sorting, critiquing and reviewing isn't going on amongst the self-published. I guarantee that just as you will find self published books of a "lower quality" than many traditionally published books, you will also find "higher quality" self published books than many traditionally published books. 2) If everybody is clamoring for cheap and free books to read how did libraries ever fall out of favor? Isn't the "Netflix" model just a library card? The reason self-pubs have chosen the amounts they did isn't arbitrary. Amazon set their royalty percentages with one ceiling at $.99 and another at $2.99. There's no incentive to raise, which is why I believe this is more manipulation on Amazon's part than progression of the market from buyers. I've been lamenting this point for a while now, this dollar book phenom. Time will tell of course how it plays out, but the driving down of ebook prices, while good for readers, I think will end up hurting writers in the long run. If the name authors prices get down low enough, 99 cents will not longer feel like such the bargain, and the desire to risk on an unknown will go down. Name author you like for 2.99 or unknown for .99? As the difference goes away, so does the incentive. Regardless, I still believe, and likely always will, that books are worth more than a buck. I honestly don't care about the economics in this case. It's just pig-headedness perhaps, but stories deserve a spot somewhere above the mass-produced junk from the local dollar store. Josin – I agree with you about Amazon. Right now, they are definitely courting the author, which is a very good thing because it is changing the culture. But, whether that will change once the competition thins is a very good question. On the other hand, if that happens, authors may feel more empowered at that point and may form collectives to strengthen their position. Or start handing out books on their website, and refuse to go through Amazon, etc. Very interesting conversation. But I'm wondering: are people buying the .99 cent books because it's something they want to read, or because they're only .99 cents? As with Groupon, I signed up for it at first, but then realized none of the discounts were for services I wanted, so I didn't use any of them – kind of like grocery store coupons, why would I want to save $1 on Twinkies if I don't eat Twinkies? I think some consumers jump on something because they think it's a deal, it's what's in front of them, so they grab it without even considering if it's something they WANT. Kind of like walking down the strip in Vegas and you grab the flyer the guys are shoving in your face, just because they're there… but do you really want what they are offering? I'm sure some do, but I have no need for HOT YOUNG GIRLS DIRECT TO MY ROOM NOW!!! I just wanna go see Carrot Top. And… am I the only one out there who still hasn't gotten into ebooks? I do so much reading on the computer that when I want to read a book I, well, want to read a BOOK. I like your idea of applying price discovery to the e-publishing industry. I wrote my own rant a few weeks ago ("99-Cent Train Wreck" at http://wp.me/p1qrBV-2c), but I was thinking of commoditization as a downward pricing trend only. It didn't occur to me that it also implies pricing can increase based on demand. I guess I've been too accustomed to the retail model. Thanks for an interesting new perspective. I tend to agree with you, Nathan. As a self-published author, it irks me that I have to price at 99 cents, even for a short, to compete. For guys like Konrath, it's a way to turn up the profit spicket for the short term. If readers get use to paying 99 cents for novels, I think it will be more difficult to go back up to $2.99 or, heaven forbid, $3.99. or $4.99. Personally, I don't think $5 is too much to ask if you've produced a welld-one novel-length story. Arghhhh! I have experimented with price points at $2.99, $1.99 and $0.99 and my experience is that there is a degree of price elasticity of demand (e.g., lower price = greater quantity). I have to agree with JL Bryan's comment that there is a market for everything and all price points. In the world of self-publishing, the author decides how to brand him or herself and the pricing strategy that is appropriate for his or her works. As an unknown author, my most pressing marketing concern is market penetration – getting my ebook onto as many ereaders as possible. The hope is that I can build a fan base that will be willing to pay more for future works. I've experimented with the $0.99 price point and it has worked. I moved my price up for April and have noticed a decline in sales. Will I move my price back down to $0.99? I'll wait for April's full month results and then make a decision. One thing is for certain, I will never give away my work. Other, more well known authors, may be able to charge a higher price, because their fan base is willing to pay more for a known experience. So, no need for Rowling to drop down to $0.99. – Ebook readership is still in its infancy. The vast majority of readers are still using "old" pbooks. As Kindle and other ereading devices increase their market penetration, then so will the number of readers and the amount of readership attention. – The net impact of communications technology (Internet and cable TV) has been increased specialization. Which means there is now more choices than ever before and readers buying ebooks are far more likely today to discover authors that they like and are willing to support. Ebooks give more authors more opportunities to create a loyal fan base, which in turn gives more readers the ability to find more of what they like to read. – Will Entrekin made a good post when he disputed the notion of constrained resources, that there is no depletion of readership attention. He is right, people's appetites for a good read are unlimited and they might be willing to ply through the first five chapters of 10 $0.99 ebooks just to find the next big thing. In the self-published world, ebook pricing is under the control of the author, who can set price strategy to achieve his/her personal goals. In the next several years, the number of ebook readers will dramatically increase. That means more bananas to pick for everyone. Also, since the technology provides for an improved ability to reach out to or create a market niche, there should be more room for mangoes, apples and kiwis, too! The price of a book should be whatever the market will bear. If you won't pay $10 for a book then the market won't bear that price. Regardless of price discovery. The abstinence of purchasing a book has been going on for years. That's why students don't buy books that are required until they know they need them and they usually buy them when they need them and return them before they can't get full price for them anymore. Or they buy them used off of Amazon, even 2nd or 3rd editions instead of 5th editions. For an unknown author such as myself, the odds are the same, getting an agent and a publisher, as making it through indie pub. The difference is, I don't have to depend on an agent and publisher and the readers, just the readers and myself. I am the master of my own destiny. Plus, the appeal for me is to get some money flowing now instead of holding my breath for something that may or may not happen. Honesty, with the time and effort I put into writing my books, I wouldn't just give it away for free. I might do the first hundred copies and then sell for a minimum of 99cents and probably wouldn't even do that. I'd start at $2.99 and go from there. Our community is a wonderful one and we could get at least our followers to read our works for free. We all help each other get the word out on new releases all the time. It's a start for a good readership. Unfortunately, the creative process is left out of this equation. Will we demand that writers become more and more "efficient" in the way they write (or perhaps more accurately in this scenario, "produce") books? We've lost any sense of putting a value on the writer's time, thought, and courage in writing a novel that is worth reading. Books are not bananas- writers are not trees sprouting fruit. Here's the thing – while *I* am willing to pay a lot for my books because I love books and I love books by certain authors, most readers probably aren't as passionate about it as I am. Also, while I'd willingly (and HAPPILY) turn over $50 for Scott Westerfeld's next book Goliath in hardback, I am a lot less enthusiastic about authors I've never heard of or books I've never heard of. So here's a totally hypothetical idea I just thought of – there's this plugin/widget on many blogs called Linkwithin. at the end of a post it shows 3 or 4 posts that are related somehow. I wouldn't be opposed to having something like that embedded at the end of my e-Books that said, "you liked this paranormal YA about zombies, here are 3 other paranormal YA about zombies" either from the same publisher or others. And maybe if you buy from that related books spot you get a discounted e-book price. I would like to see more of to see more of the process working to promote books but also cater to the needs of the readers. I'd like to see best sellers do more for the little known debuts. And while I don't think we should be selling at basement prices so that no one makes money, I think it is fair to rethink the pricing of e-books because it is pretty clear that most people do not FEEL like the thing they are buying is worth the cost, even if behind the scenes it is. There has to be a middle ground. Musicians are already experimenting with the price thing through Bandcamp and that kind of thing–look at what Amanda Palmer is doing, for example, or Radiohead's previous album, wherein they set a minimum amount for a download but the buyer can pay more if they think it's worth more and can afford it. Sort of a reverse kind of barter, really. Strangely, at least in some cases, it seems to work. I hope the 99 cent thing will lose its appeal soon. Most authors do it to get on the lists, but as more authors do it, staying on the lists will become increasingly difficult, and making money that way will become almost impossible. People are willing to pay for quality, but the problem is discerning quality from an unknown writer. Readers need new, more reliable ways of discovering writers–a new system of vetting that would eliminate the need for unsustainably cheap e-books. I don't really know what to say about all of this. The one thing that is sad to me is that if a book is really great, it's worth a lot more then $0.99 to me. I wouldn't feel right paying less than say about $10.00 for some of my very favorite novels. Hell, I'd probably pay many times more what they ask for some of my favorites. They're worth it. Traditionally, even before e-books, the only people who ever made real money in publishing were the best selling authors. Most mid-list authors still had day jobs, either teaching or whatever they did to survive. I also think there's a huge trend happening right now. Most of these so-called authors will publish an e-book, decide it's not really for them, and more on. And we won't really know who is going to survive until the dust finally settles and people move on to the next new trend. I wish there was a way to tweak the way readers buy e-books. Did I look at the cover? Sure, but it wasn't the driving force behind my decision to buy. And it CERTAINLY wasn't the price listed on the back. What made me carry a book to the counter? I read the first page, or maybe even several pages. I know, I know. The "sample" thing. I do it all the time, even with the freebies and cheapies. But here's a thought. (My own little tea party) Let's abolish price listings on books, and abolish the "buy" button until after a browser has gone through the first several pages. I think that would go a long way toward weeding out the haves from the have-nots. Maybe even curb this downward spiral in pricing. Because if the writing isn't there, I walk. As an author with her foot on both sides of the coin (traditional and self-published), I have a different view. An example, when my self-published book comes up in an Amazon search for YA romantic comedy, both traditionally published and self published books come up. I think your theory supposes that self-published authors only view other self-published authors as competition and therefore you could eventually deplete the 99 cent discount, theoretically. But what if we view our primary competition as traditionally published books? I personally viewed both traditionally published books AND self published books as my primary competition. I was trying to woo long-term readers of established authors to give me a try. So, all other things equal (quality, good editing, marketable, book cover design, etc), when competing against traditional publishers, I really only had one competitive advantage—price. Fact is, despite short-term promotions, traditional publishers cannot afford to set their prices at 99 cents over the long haul, so the 99 cent discount could never be depleted. When competing against self published authors, a very high-quality, well-edited product was critical to sustaining my competitive advantage. Price being equal, my hope was that a reader looking at my book would think they were getting a great deal on a traditionally published, small press book as opposed to a cheap self published book. I don't know what WILL happen, but I certainly hope we will find a way to charge what people are willing to pay, because there is a larger issue at stake here: Will the market be dominated by professional writers, or by hobby writers? You talked about the decrease in resources necessary to reproduce books, which has brought down the price. But there's one resource that has not changed significantly, and that is the writer's time. It still takes many, many hours to craft a really good book. It takes a number of hours, but not nearly as many, to craft an okay book–one for which the truly appropriate price point might be 0.99. If anyone is going to be able to continue to devote the many, many hours necessary to craft really good books, there has to be a decent source of income available. As Margaret Atwood said, those cheese sandwiches have to come from somewhere. Either that, or we go back to the patronage model, or the gentleman-writer model, and I don't really see either of those working in the modern world. Hobby writers are willing to give their work away for next to nothing. Professional writers are not. If you ask me whose work I would prefer to read, I hope the answer is obvious. I hope and pray the hobby writers do not take all the bananas before the professionals can get to them. By the way, I don't know if I'd pay $100 for Harry Potter, but I would for The Lord of the Rings, especially for one of those leather bound editions with all three volumes. I can't say this worries me too much. Everyone said the same thing about iPhone apps, but I think they are turning around. At first people expected them to be free or no more than $1, now we're seeing more apps at $5 to $10. All it took was a few quality apps at a higher price to make the consumer think "oh, some of these pricier games are wroth it." I think we'll see the same thing in the ebook world, especially with self-published books. There's going to be a race to the bottom, but it won't stay there. As far as debut authors go, I think they would do themselves a favor by setting a minimum price of $1.99. It's all about creating a value anchor. It reminds me of the story of the woman that tried to give away a mattress on Craigslist. She kept the posting up for weeks and no one bit. Her husband took the posting down and put a new one up–"Gently used Queen Mattress $130." It sold that same day. No one wants a free mattress, that implies that it's all gross and old. But $130 seems like a fair price. It implies that the mattress is used, but still high quality. I think authors should use the same tactics. Give away short stories, podcasts, and blog posts, but charge–even if it's just $2–for your books. It implies that they are worth charging for. Of course the trick is to make it so. When competing against self published authors, a very high-quality, well-edited product was critical to sustaining my competitive advantage. Price being equal, my hope was that a reader looking at my book , would think it they were getting a great deal on a traditionally published, small press book as opposed to a cheap self published book. It's the publishers who have created this situation, not the independent authors, by the unfair "deal" that they offer their authors for ebooks. Yes, 10% of retail price to authors is fine for print books (not great for authors, but understandable given the real costs of printing, warehousing, distribution). But offering 25% to authors for ebooks, when publishers have none of those real costs, and claiming this is the industry "standard" is unfair, and it is also what is driving the high ebook prices. For a $9.99 ebook released through a publisher, the author will earn somewhere around $1.50 to $2. For a $1.99 independent ebook, the author will earn $1.40 – but will probably sell a heck of a lot more copies at that price. (Yes yes, in both cases the marketing needs to be done properly – but publishers are not actually doing much about that for most of their authors these days). A large part of the cost of "real" books is due to their physical presence: printing, shipping from printer, warehousing, shipping to sellers, sellers' retail space/warehouses (plus the mark-up that each of these players must add in order to be profitable). Ebooks have none of that. Pricing them at $9.99 is an artificially high price, set by publishers who are desperately trying to set a new industry standard that will rake them some big profits. Yes, at $0.99 it will be hard for anyone to make a living from ebooks (although it does open the market to shorter works – long stories or essays, novellas). But ebooks priced at $1.99 and $2.99 really opens the door for us, for authors, to actually make a living from what we do. There is limited readership attention span for books. Given that I can now purchase e-books for the same price at which I purchase used or dollar store books, these e-books are now not only competing with each other and with best-sellers but with, frankly, every book that’s ever been widely distributed. Or even narrowly distributed. They’re competing, pricewise and cachet-wise, with any of this fungible commodity I can find on the market. When I peruse the shelves at the thrift store, I’m not concerned that a “new” author is, in fact, deceased now, or that his or her book was published thirty, forty, fifty years ago. Most of what I see on the thrift store shelves is new to me and carries with it not only the thrill of discovering a new author but also what previous readers have left in the book, from book marks to margin notes to the fact that long ago they took the trouble to get a signed copy of a book from an author and then, later, gave the book away. The tragedy of the commons is actually a non-tragedy. Elinor Ostrom won the 2009 Nobel Prize for Economics for showing that commonly owned resources are often very well managed by the local communities that depend on them. Plus, books aren't exactly a finite resource. The market for books is definitely finite but the creation of books isn't tied to any constrained resource. If anything it's actually the opposite. The act of writing is so pleasurable in itself that the thought of being a successful author is very attractive. So much of your blog is dedicated to trying to prove the opposite :-). These days it's almost impossible to charge differing prices in the consumer market for the exact same product. Amazon knows all about my past purchases and probably has enough information to be able to charge me more for some stuff than it charges to other people but imagine the bad press it would get if it did that (economists always seem to ignore human psychology for some reason). Even if Amazon could get away with charging me more you'd instantly see companies spring up to take advantage of that price inefficiency by acting as a middleman between people who can buy something cheap and people who actually want that product. Well, as a writer I don't want to sell my books for free, and as a reader I don't want to pay $100 for a book. "For a $1.99 independent ebook, the author will earn $1.40 – but will probably sell a heck of a lot more copies at that price." On Amazon, this author would get 70 cents. And just because they're cheap, doesn't mean they'll sell a hell of a lot more copies. There are plenty of .99 books earning about a hundred bucks a year. Economics is concerned with money and making more of it. Efficiency and economics are based in business principles, and businesses very seldom will cut their own profits to benefit society as a whole, or in part. Individuals are a different matter. Most people don't care about what resources are available, and aren't interested in sharing those if they can acquire more for themselves. There are exceptions, but isn't that what the current state of publishing is pushing us to do? That's the message I see in publishers who are changing their tune when they see that perhaps that debut author who self-pubbed isn't as bad as previously thought. (i.e., her writing record doesn't matter). It's what sells and how many that matter in most business transactions. So like the truckers who priced themselves out of making a living, the writers and authors are losing sight of what's important. All writers should be able to expect recompense for what they do. 'Gettin' while the gettin's good' is a common philosophy today and is considered by many to be a justifiable endeavor. We must always remember what is lost in the cause for efficiency — generally it's the personal aspect, or the quality. Marketing drives efficiency (more product sold equals more revenue). In most instances where efficiency is introduced into the equation, jobs and functions are lost for the sake of unit price. Loss leaders (free or 99 cent books) are a hook. We as debut authors, are the fish that could get eaten. More culling of the herd of writers that exist today? Meanwhile back at my study . . . I keep on writing. Never say die is my creed. The music industry is doing it. And, there are artists who want to sell their songs for $0.99 but, the Apples of the world won't let them go for a lower rate. Kid Rock is one of those outspoken, give the masses what they want, and give it to them at a lower cost, and add on a few more songs for free. "Price elasticity of demand…is a measure used in economics to show the responsiveness, or elasticity, of the quantity demanded of a good or service to a change in its price. In general, the demand for a good is said to be…relatively inelastic when changes in price have a relatively small effect on the quantity of the good demanded." Simply put, the price elasticity of demand for form-based 'excellence' (in this particular example, an 'excellent' book) is relatively inelastic: To wit: People will (and always have) demanded excellence at a reasonable price for a great many reasons (reasons that are generally outside the simplicity of this post). But that's the answer to your question: "Are we headed to free for e-book prices…?" (No). Self-published e-books are attracting readers who used to troll used bookstores and remainder sales. They may be biting into mass market genre sales a little bit, but readers who buy hardcover fiction seem to be sticking with those sorts of books even when they adopt e-readers. Despite the inefficiencies of commercial publishing, it is still the only way to reach 80% of the audience. And the rock bottom pricing only entices a small and, frankly, undesirable segment of the readership pie. Precisely because reader attention is a scarce commodity, quality content can command a price premium. Authors who can distinguish themselves on quality don't have to race to the bottom on price. This is the reason most people who can publish commercially will continue to do so. Not sure if I'm understanding all of this but I think it'll weed itself out like anything else. These well known writers dipping their toe into self publishing are charging less because they're nervous, maybe. and freebies pull people in. Once the authors see what they can get they'll charge that. Supply and demand I suppose. Rowling might even give her book away at some point beause she doesn't need the money, and she's knows the real money is in merchendising (for her) anyway. Self published, unknown guys like myself, charge little for the ebook to build a readership, I hope that people will still want a print copy, screenwriters will still want to adapt, producers will still want…well, ya get the idea. It is a little scary to think of it terms of de-valueing the work (thats the real tragedy.) But on the other hand, I think its a trend right now, these 99 centers. I think the cream will rise as it always does, price will find it's sweet spot based on readership. Marketing company's really need to be paying better attention to whats going on here. They're still thinking inside the box along with pricing and traditional publishing. Amazon and google are already looking in the right direction with that too. So I think there needs to be some Independent media company's poking their heads in here soon and re-thinking what they do and how they do it. There's alot going on, and a lot coming up in self publishing and no one seems to have a handle on it; a view of the full, big picture, cept maybe Amazon, and I know there are still a lot of amazon haters out there, but there pretty good at raising monkeys and growing banana trees, and there getting better and better at selling them too. Maybe it's because of all the talk recently about the roles of agents and editors in the future and how they will serve as gatekeepers, but when I was browsing through new books for my Kindle last night, I found myself really distrusting the very cheap e-books unless I recognized the author's name already. I feared I would be purchasing low-quality work; the stigma against self-publishing was at work. I still don't want to pay $15 for an e-book, but I didn't find myself too tempted to get a lot of cheap ones instead, even as impulse buys. Also, you're right. People only have so much time to read, so even if all e-books were that cheap, people probably wouldn't buy that much more since it would still take a lot of time to read them. This is a really interesting observation and I think, ties publishing more definitely, to the game theory of economics as well as the tragedy of commons. Nice. Dan, are you calling used book buyers undesirable? I thought we were just savvy shoppers. Why pay $35 for Rowling when it will be $4 at the thrift store if I wait a month. It would take six months for me to get a turn to read a library copy. This is a market iTunes has successfully tapped. Why comb through piles of used CDs at the thrift store when I can download that song I've been looking for at $1. The CDs pile up higher than records now at my local thrift and the artists gets part of my dollar. Why would I sift through piles of disorganized books if I can find the one I'm looking for cheaply and quickly online? And the writer would get part of my buck and the 20 other people's bucks who would have bought that book used over its lifetime. I wouldn't have to buy furniture to store my library or put them away when they pile up in the kids room. When I couldn't find the physical copy of the book I wanted to read to my daughters class I downloaded a free copy, but would have willingly paid another dollar to not have to search the stacks. That's where the volume of sales will come from. I think that debut writers and those looking for a temporary boost in sales will place their books at 99 cents. But, there are a lot of people who are paying $2.99 and $3.99 without batting an eye for indie authors who have at least one other book out there. Their sales are not hurting. Dropping the price per book reduces the percentage they get, which in turn mean they'll have to sell roughly six times the number of books to make up for a single $2.99 sale. The big publishers will always get $9.99 or more for their big name authors whom they've marketed well. And people will buy the 99 cent and the $1.99-$3.99 indie authors books, too. Like you said though – they'll choose what they want to read and how many books they are willing to buy. Price, to a certain point, won't deter reader from buying from an author they like – indie or traditional. This is fascinating to me. I have recently been toying with a service that I'd like to charge $110. for, an hour, but that I'd be willing to take (rather than lose) a client for as low as $30. Sort of like Priceline.com only different. I don't want to lose any prospective client. But I want them to value and afford my service. And, politically, it feels like, too often, needed services/products are only accessible to the richer amongst us, when the less financially secure may need (and benefit society from having access to) our product/service even more. i.e., not everything is a luxury item nor should it be. A friend of mine has been working with "pay what you think it's worth and what you can afford" for some time now. And, myself, once, in a rough patch, someone gave me their service for 10% of its typical value. I voluntarily upped that amount over time as I got back on my feet to what I was comfortable paying: 40% (over which I wouldn't be able to afford it). There's always a balance between the two: that's marketing. The low cost introduction of E-Books was a necessary step in helping the technology grow, think napster. In time, the industry will adjust to the market and steadily step up pricing to sustainable levels. The consumer will either pay more, for a perceived improvement in quality and or service, or the industry will adapt to meet the consumers expectations. Either way, cheap E-Books will probably still be available, somewhere, somehow. All of this discussion of ebooks has been madly interesting. First, while I adore J.K. Rowling, I would try to borrow the book before paying 100.00 (I would content myself with a re-read of her others while I waited. As to the 99 cent…. Well…Pen and Ink is following The Wooden Men. The results aren't in one this one. One thing this price point argument fails to take into the consideration is not the willingness of the customer to pay, but the ability to pay. Economics don’t take place in a vacuum. You have to look at the bigger picture, which is that over the past ten years, the median household income has fallen to below $50,000 while inflation continues to soar. This means that Americans have less discretionary income to spend on books, CDs and other types of entertainment. For example, now with the cost of gas going up, I’m seeing a lot of people on my social networking site wondering how they’re going to get to work and feed their families. These are people who read copiously. If the price of fuel, food and goods continues to soar, I can see 99-cent eBooks becoming even more popular. So publishers can artificially inflate eBook prices so that the most Americans cannot buy them; or they can look at what book prices were ten years ago and lower the price to reflect what people actually have in their wallets. I will say that when I see a book that's $0.99, I'm actually more suspicious about it. I ask myself why the author thinks their novel-length work is worth so little. Oddly, I become more picky if the price point is so low. I think Amanda Hocking is an excellent example of price discovery and why there's no real reason to worry about everyone pricing their books at 99 cents. She prices the first books in her trilogies at 99 cents, hooks you, and prices the additional books in the trilogy at $2.99. Very smart, very profitable. I think it's an excellent model to follow. Authors aren't stupid. JK Rowling and Stephen King will never price their books at 99 cents. They don't have to. The 99 cent price point will always be the bastion of new authors hoping to be discovered. "Let's say that everyone sold their books at $0.99. Stephenie Meyer, J.K. Rowling, James Patterson, J.A. Konrath, Amanda Hocking… everyone. What would that publishing world look like?" Nathan, checkout the Kindle UK charts. Kindle UK has just been flooded with cheap backlist books by established writers with history, followers and celebrity. The "indies" have been decimated overnight! Only one indie book, ours – Sugar & Spice, Saffina Desforges – is still in the top five (by the time you read this that may have changed), and that only thanks to our having got to such a strong position (20,000 a month) when the going was good. We are still, just, the number one thriller on Kindle UK, but that seems to be a because no big name thrillers have been dropped in price. One of our closest indie rivals dropped from the top ten to the top forty in a matter of hours as the cheap "names" swamped us. I don't buy $0.99 books. I also don't buy ebooks that cost more than the associated hardcover. You're right about the economics, but there's a third solution that has worked reasonably well for both up-and-comers as well as established artists in the music industry: Pay what you will. Those who are broke or don't want to pay will pay next to nothing. Others with more disposable income or who place higher value on an item will pay more, and sometimes more than retail would have been. What's broken (and probably has been for some time) is putting a retail pricing scheme on what is, ostensibly, art. The agency model breaks it even further, because when retailers aren't free to alter pricing to meet demand, sales are lost, either by people losing interest or piracy. I can say that's happened at least once to me, with Anna & the French Kiss. I don't want a dead tree version, and it's insulting to have to pay more for the convenience of an ebook. As price pressure continues, I wonder if we will see a situation where books go to Free, but are Ad supported. Authors become like TV channels, and the more eyeballs you can deliver, the better and more high paying adds in your book. After these messages…..we'll be right back. "The 99 cent price point will always be the bastion of new authors hoping to be discovered." Why because we've had it for like a whole year, two years? It's clear that no one (other than John Locke) can make a living selling 99 cent books. Unless you live in an igloo. If the point is develop a loyal fan base, and you're finding that fan base in the 99 cent bargain bin, you might also find they they aren't willing to follow you to $2.99 or $3.99. The majority of Americans read 1-3 books a year. Let's say 3 books at trade paperback prices, around $15. That's $45 or so dollars a year. Most people would be fine with that, give or take 10 bucks. Then there are the avid readers, but maybe they only read 12 to 20 books a year. They're still happy to pay anywhere from $7.99-$15 for the most part. Then you have the super readers. These people read at least a book a week. That's 52 or more a year. The $0.99 and $2.99 books are designed not for the average or even the above-average consumer of books, but for the super-consumer. I seem to recall the arguement against Ben Franklin and his idea for free public libraries as potentially dooming the publishing industry. Of course that didn't happen and perhaps we have the same thing here. Self-publishing ebooks is still experimental; we have yet to see the long term effects. Had public libraries wrecked publishers then the libraries would also have gone away. Then the publishers would have returned and no experiment like that would have been tried again. History is replete with civilizations that have decimated their resources and disappeared or moved on. But humanity as a whole survived. The same thing here? "Are we headed to free for e-book prices or will we find a way to charge as much as people are willing to pay?" I think people will always be willing to pay at least some amount for something like an e-book since there will always be demand for them. Do any of the posters think that writers were decently paid prior to the ebook phenomenon? By how much have publishers advances changed in the last twenty-five years? the last fifty? Isn't it the publisher's ox that's being gored, not the writer's? If authors tell people a book is worth 99 cents, then it's worth exactly 99 cents. Most of the top ten kindle books are over 7 bucks. Most of the top kindle 100 books are over 7 bucks. Self-pubbed authors use that to bolster the claim that people are only willing to pay .99-$2.99. However, since 98 percent have only tried that price-point and no other, it's a rather specious argument. Correlation does not equal causation. There are some "indie" authors selling over $4 and doing quite well. Why? Because their audience is willing to pay that. If a literary fiction writer prices his new work at 99 cents, it's almost impossible for him to achieve the same level of sales as a thriller or paranormal writer at the same price-point. If you're going to sell 3200 copies no matter what, you might as well sell them at $4.95 and not $0.99. 'Human progress is a steady march towards greater efficiency.' Clearly, you are not acquainted with Irish bureaucracy. Will Entrekin has a point about the $5 sweet spot, i. e. the price of a mass market paperback less the printing and binding and handling costs. But it is harder to find an e-book equivalent to the hardcover and trade paperback windowing system. C. L. Phillips, Merry Old England's version of the tragedy of the commons was exaggerated by big landowners in support of the notorious 18th Century Enclosure Acts, which allowed them to basically steal common lands with the support of the state. I second Mira and Josin re Amazon. Self-proclaimed 'independent' authors are a damn sight more dependent on Amazon than many of them care to admit. And Mira's collective idea is interesting. As a matter of interest, I own a share of a commonage adjoining my farm in Ireland. I am what's called a tenant-in-common, and can graze the land (well my livestock could, I hate the taste of grass…) as can the other tenants-in-common, but not the general public. An ancient form of collective, in fact. Anyway, I have now finalized my publishing game plan. I'm going for the 99 cent e-book approach, BUT I'm going to turn it around. I'm going to PAY the reader 99 cents! If 99 cents can't compete with free, how can free compete with getting 99 cents along with the e-book? I'll be the biggest bestseller of all time! Sorry I'm so late to the table, but I do want to chime in. This eBook movement is, in my opinion, going to change the way our children read for the better. I was one of those kids in school that played football and wrestled, but was really a closet geek. I would read every Fantasy book that came out from JRR Tolkien to Robert Jordan. But, the one thing I remember is that the cost limited my ability to get more books. The library in town was slow to fill the shelves with new books and when you are reading a series, you have to read the next one. My point is, if I could have shown my father that the books I was reading only cost .99 to $3.00 a piece instead of $8 or more, he would have been more open to me getting new books. It isn't going to be a tragedy, I think it will make the millennium literature accessible in a way that it has never been before. Whether it is advertising in the books or some other scheme that hasn't been thought up, publishers will find a way to get a cut. Great post Nathan, especially being one of those unknown authors trying to make their s-pub mark on the world. It is going to work out, I have faith. Why wouldn't we see prices decrease and settle in at the $0.99 – $2.99 level? There's going to be a lot more ebooks uploaded for sale in the next couple of years, and the current ones won't go away. Publishers will get up backlist, authors will get up backlist of books with reverted rights, people with a novel in a trunk will dust it off, and everyone will put their books up for sale. What happens when there are five million ebook titles for sale instead of the 800,000 or so that Amazon has now? Prices will be driven down. "At the end of the day, there are only so many people in the world who read books and only so much time in the day they spend reading them and so much money they're willing to spend for them. People do buy a few more books than they end up reading, but not that many more." This is EXACTLY what I said in response to an earlier post by you on the advent of e-books when I first started following your blog a year and a half or so ago. I think we're heading for a saturation point in e-books, and I think that when that happens, people will start to look at price as a mark of quality in books. This could be one way to explore with "price discovery". I think a book is a form of entertainment like iPhone apps, mp3s, and the rest of digital medium. The best stuff will rise to the top. But if I have to choose between paying for angry birds or downloading a book, the book had better be at a comparable price. Right now, traditional publishers just don't get it. And agents are about to feel a lot of pain as their industry shrinks. Great article, Nathan. Several excellent comments so far, too; but, what no one has mentioned (or maybe I missed it) are the ebook samples. Both Amazon and Smashwords require their authors to allow for sampling. Smashwords gives the writer a choice as to how much of the book can be sampled…up to 40%, I think. Just like browsing in a bookstore. I randomly bought ten .99 ebooks, after sampling. The samples were okay to really good. I didn't finish a single one. They went south really quickly. Probably not a good survey sample with the huge numbers of .99 books out there, but it was enough for me. I recently published my first ebook and set the price at $2.99. I think the quality and storyline warrants that price, even for a "newbie" author. I'm hanging on to the hope that slow sales (after only about four weeks in) are due to less than adequate marketing and not the price. I might go down to .99 but I'll never give the book away. Time is another factor. Most people, I think, simply don't have the time to browse all the .99 ebooks, looking for that one pearl. I start my search at the 2.99 level in a particular genre, then I look at the cover. If the cover is alluring, I'll give it a closer look. If the synopsis and reviews are good, I'll sample; and then, maybe, I'll buy the book. Great article Nathan. Thanks for this. There is a lot to think about when pricing our books. One thing, I think people forget, is whether or not you're building an audience with these low prices or with places like Groupon. Are people going to come back to you as the author or are all those sales simply because people will buy anything for $.99? I represent Bob Phibbs who has a lot of opinions on things like Groupon for that very reason. I haven't read all the comments, so if someone else already brought this up, I apologize. You're mis-using the Tragedy of the Commons. The tragedy refers to the destruction of resources which have no owner, and that everyone can access freely. An example would be over-fishing that completely depopulates the fishery. If no one owns the resource, no one has incentive to maintain it. So everyone just takes from it until it's gone, unles they are restricted in how much they are allowed to use. At least that's the theory. Elinor Ostrom, 2009 nobelaureate in economics, demonstrated in her reseach that the Tragedy of the Commons often won't happen, because people will set up their own rules of how to collectively manage the common resource, without requiring draconian controls. Regardless, this concept cannot apply to literature, for a couple of reasons. First, intellectual property has a clear owner, who manages it and sells it or not, and who can have his/her rights enforced by law. Two, even if literature was available free to all, the act of everyone consuming that literature would not damage it. What, everyone reads Tolstoy, and suddenly Tolstoy's writing begins to disappear? That's not how it works. I get what you're trying to say here, and for what it's worth I disagree heartily with those who say that ebooks should be $.99, or even free. But you're confusing your terminology. Interesting and somewhat daunting post. I don't have anything novel to add to the conversation but I just found my way to you and your blog (and I'm already a fan) and so wanted to say hi. "I'll add something I learned on my first day of class in Contracts in law school: a fair price is what a willing buyer will pay a willing seller. Simple as that. Regardless of the moral or philosophic or literary arguments, that will win the day." $100 for JK Rowling is perhaps a bit extreme, but I just shelled out $36 to have the collected works of Wolfgang Borchert shipped from Amazon.de. Given the lack of availability elsewhere (and that for some reason Amazon.de refuses to ship me used books) I judged that to be a fair price, especially with the euro-dollars exchange rate factored in. I also pay to subscribe to The Financial Times, because I perceive value there that I don't in other news outlets. So Nathan, based on personal experience I would say you are right on about price discovery. I think people will gladly pay more than $0.99 for books, even e-books, provided there is a perception that value is being added beyond what they would obtain for the base rate. Maybe it's because you love X Author and he/she refuses to "give" their content away (what I would call The FT Model), etc. I think sometimes the media industry gets caught up in price and overhead numbers, and overlooks the fact that this perception of value is really the lynch-pin for its ability to generate revenue at the end of the day. It's why piracy is such a problem for the film and music industries: piracy distorts the price discovery process. But even still, the long-term solution for those industries is to enhance the value they add to the "products" they produce, in these cases the theater and concert-going experiences are probably ideal. And you can take this right across the board to "content farms" such as Demand Media. Great post, Nathan, but I don't think this is tragedy of the commons. I think this is supply and demand laws making their way. Supply is going up extremely fast (authors die – their books don't, new authors show up, there is pressure to put out more books quicker, it is easier to get published). Demand isn't catching up (readers die, argueably less readers overall in the digital age). Spammers and scammers are filling up virtual shelves with trash. E-books circumvent usual barriers to publishing, creating even more supply. Money-wise, I think the situation's even worse than Nathan's post makes it seem. Nevertheless, I think authors who want to write, will continue to write. And e-books don't need to be the author's only income. Cory Doctorow's books can be found free online, and he claims they help sell more physical books. We'll find a common ground before we hit rock bottom. Not many writers want to see all the hard work they (and others, such as editors, artists, etc.) put into a book they probably view as their child going away for free. No profit, even after all that? There'd even be a substantial risk of loss. The public might like that, but the writers sure wouldn't. If the book is good enough that it becomes an instant phenomenon in the vein of Harry Potter or Twilight or [insert literary phenomenon here], then perhaps giving away the first book would be worth it in the long run. But it'd take a very clever mathematician to calculate luck into the equation. If there is no benefit, why try and market it at all? We'd just keep the stories in our heads to tell our grandchildren rather than selling them, and the world would see a drastic decrease in publicly marketed writers. Books would still be written, but they would be privately owned rather than stocked in the local bookstore. It'd be a step backward, and that's the last thing publishers and writers looking to make a profit want to see. Again, the number of writers might stay the same. We write because we love to write; we aren't just in it for the money (I hope). But we wouldn't bother marketing it if it would be seen as worthless. A lot more books would be left to gather dust in the drawers, until a friend or family member asks to read it. And maybe that will be how word of the next hot project gets around in the future. I guess all we can do is wait and see, our fingers crossed as we hope for the best. Great post.I hadn't thought about the commons and 99 cent sales. I'd like to see a debate between you and Joe Konrath. on this one. The only problem I have with most anti-99-cent arguments is that they often fail to take into account the principles of revenue management. A product is worth whatever people are willing to pay for it at a given time. If no one is buying it, it doesn't matter whether you personally value your book at 99 cents or $99, because in fact it is worth nothing. If you price at 99 cents and your book starts flying off the virtual shelf, then experiment with increased pricing until you find the breaking point as dictated by the buyers. The demise of ebook pricing will not be determined by the pricing techniques of ebooks by thousands of unknown authors. BTW, despite all this talk of 99 cents, e-book prices are going up, not down. The best-selling e-books often cost more than a trade paperback, not to mind a mass market paperback. Ebooks, print books, library books, borrowed books. My decision to buy an ebook over a print book is set by the price. If I can buy an ebook for half the price of a print book, I prefer to read it that way. But often the price is the same (a buck less) for the ebook or the print book. Which stinks. If I spend fifteen bucks on a book, I want to be able to loan it out (not all ebooks are lendable). It seems like there's a lot of cheap and free ebooks out there…I've read quite a few of them. I still want to read the *good* books that I want to read. I hope publishers can figure out a pricing system that is fair. I don't mind paying for books. But an ebook should be less than a print book. I spend way more money on books than I ever have because of my kindle. Ebooks aren't going away, and I think publishers and authors need to figure out how to make money with this medium — without price gouging or giving books away free. And please let us not forget those that are unable to purchase nice shiny new objects so that they can purchase words to go in 'em. Our libraries are still the point of entry into the world of books for them. Let's keep our fingers crossed. I think the problem here is that if someone is giving away their book for free, being a new author or self-published, they will force others to meet the price demands in order to sell their books. Raising the price of your next book in the series would screw yourself, because the next up and coming author would have a book out that they are giving away. The same person who did not want to pay for your first book, would probably rather get another free book than pay for your second. This method does not work for the betterment of all in the long run. Much of what is wrong with the world today is the fact that too many of us only seek what 'we' need, as opposed to looking at how our actions effect others. Personally, I don't care for ebooks, and have yet to buy one. But I can see how charging so little could effect others. I do wonder though, is this so different from companies that sell used books? Once the book is sold, the origonal author doesn't get royalties if the book is resold by a used book store. So what is the answer? This is a tough discussion, and I don't think there are any clear answers. All I am sure of is we need to think of others, not just our own needs. 1. The use of the term "tragedy of the commons" is not properly used, even metaphorically, regarding prices or discounts. Since the term is applied to and considers resources, there is no connection, either abstract or concrete. Thus, the use of this term in this case is not argumentative. 2. Discounts are NOT resources. They are decreases in prices or values of a good or service. 3. Books are NOT resources. They are products. 4. It is a free market, and prices can be set at will, as a result of healthy competition. Only in monopolistic markets, there are base prices set. 5. Even 0$ is a value in economics, in absolute terms, but nevertheless a value. 6. When someone performs some tasks regarding a project, do-it-yourself notion, the hours spent are calculated as a production cost. They might be charged at less value than outsourcing the particular task, but nonetheless they are costs. They are either charged to the client on per hourly basis or included in the production cost. I don't agree with the 0,99$ price, but only in some cases, not all. However, no matter my opinion or others', free market is what it is. Everyone is free to set a value to his/her product or service at his/her discretion, (even 0$ because the producer is a saint and wants to benefit others), for whatever reason. Good grief! Like a lot of hypotheticals, this one overstates quite a bit. Would you pay $100 for a Harry Potter book? Seriously? As for myself … I'd never. But that's me. Just because I price my books reasonably, doesn't mean the content isn't worth reading. It only means I'm trying to encourage readers to buy a book from an author they're not familiar with. as loralie said, cheapest product, people will come to you. i still see plenty of Dollar stores/family dollar stores around and it hasn't put Walmart out of business. and from my hubby who is a PhD in engineering (he took plenty of statistics classes to get there), there is a missing component in your model. you're assuming ebooks will be depleted. and since that is an unproven statisic, the model is unreliable. "The music industry is doing it. I think it's important to try to keep things in perspective. I read some alleged quotes by Lady Gaga expressing that same sentiment about 99 cent albums! I respect these artists and their accomplishments, however, they've made their millions so when they "allegedly" say music should be $.99 cents or albums should cost as much, it's from a different place than a struggling musician or artist who isn't as economically viable. I'll use this name for example: Amanda Hocking ( a very talented artist). I've never heard her say this but if she said "all ebooks should cost $.99 cent", well, she's made her millions and is speaking from a different position than an unknown ebook author trying to break in and needs the money. Do you understand what I'm saying? You've taken quotes from the top cream (Kid Rock in this case) and applied it to the herd who already can't make a living. His albums can be $.99 cents now because he's already made his money from the higher price point and he's well-off. Meanwhile new bands may look at $.99 and wonder how they're going to eat( let alone pay a sound engineer, studio time, music equipment, ect). Two different perspectives on one price point. Not to rain [too much] on the economists and the pseudo-economists parade, but…. Quality. That is what is going to determine the future and longevity of the e-book, not free or under a buck pricing. Quality. The analogy with the monkeys? If those bananas taste like shite, the monkeys won't eat them – or if they do, will sicken of it quickly. So will the reading public. Cheapest can't sell forever. Contrary to popular wisdom, most people will NOT come to the cheapest product… unless it is also a quality product. I wonder… how many of those free or cheap e-books will actually be read? Personally, I have already dumped three from my Kindle. Why? Because they sucked like a DYSON! Unfortunately, sales figures aren't going to reflect [all] the shite out there. It's not like one can return the e-book; it is not going to go back into inventory and show on the publisher's bottom line at the end of a sales quarter. This is where econ theories are just that… theories. Can you factor in shite in 'the tragedy of the commons'? No… I didn't flunk Econ in college… only because I took my professor's suggestion and backed out of the class so my less than stellar grades didn't sink my GPA. It all comes back to quality. Indies and self-publishers need some guidelines… if we don't police ourselves, someone else will and before you know it, the brick and mortar publishing houses are breaking out the champagne. How do you price an e-book? How about something completely arbitrary, like length of the book? There was a time when paper books were priced like that. Different prices for hardback and paperback. Smaller books had lower prices. Of course (its only human nature), the publishers got greedy and you don't see that as much anymore. Which is asinine. There is no way I am paying 30$ for a 300 page hardback… I balk at paying that for a 800+ page hardback. I don't know… maybe that's not the answer either, but I think some sort of tier pricing is a step in the right direction. I enjoyed your thoughts on this — and many of the points raised in the discussion. I've wondered if selling eBooks at low prices will be useful — I suspect that there are many disappointed writers for every independent eBook author who makes enough 99-cent sales to make the venture worthwhile. I used to sell used books on Amazon. Once Amazon became flooded with books priced at a penny, it wasn't fun anymore. Unless a business or independent author is moving books in volume, or only using the listings to amass a mailing list or gain exposure, the return on a book-selling venture will be too low to be worth the time. "just as there is pressure on journalists to work for very little or for free until they've built their career." People will pay more money for author's whose works they have read before and enjoyed. The discounted price is to incentivize potential new readers to make a purchase. Once the author's name becomes well known, price hikes will be expected. Not to mention the possibility of getting signed on by a publishing house who has noticed the author's success.